When giving employee recognition, make a real impression with real gifts from premium brands. These are the brands that your colleagues are familiar with and which they trust. 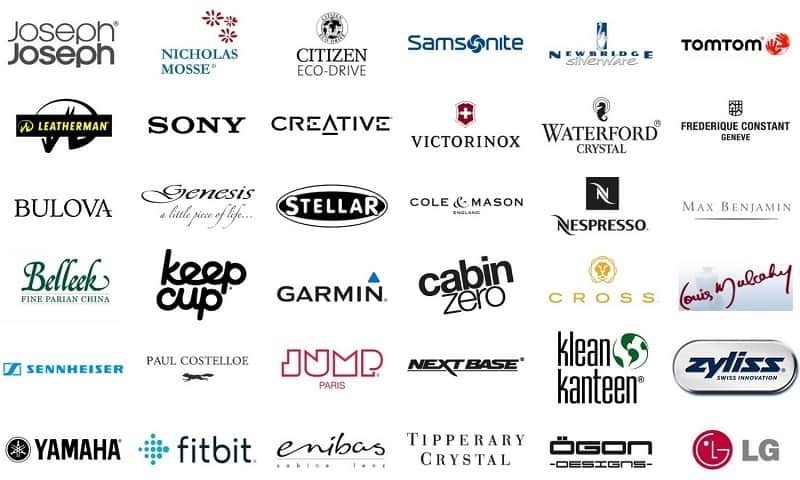 They can be great Irish brands like Waterford Crystal and Paul Costelloe or impressive international brands like Sony and Citizen. Key to the success of these brands is a hard-won reputation for quality, innovation and style. Which means when you give a piece of Samsonite Luggage or a Frederique Constant watch, you don’t just give an employee reward. You say something important about those who are being recognised. You say ‘Your hard work, your service and loyalty deserve to be recognised and marked with a superior gift’. Employee recognition makes the workplace a human place. Giving gifts also creates a unique opportunity to gather together and to celebrate the moment. These moments help to build a deeper, more engaged human workforce. Colleagues witness the regard in which one of their co-workers is held and return to their job with a skip in their step. It makes sense to give tangible gifts as employee rewards due to the tax-relief that they offer. Gifts are tax-free under the €500 Small Benefit Exemption scheme. Additionally, Revenue offers generous tax-relief on Long Service Awards, only when the awards take the form of tangible gifts. The allowance is €50 for each year of service, starting at 20 years and every 5 years thereafter. When it comes to giving employee recognition, nothing sends the right message like a gift from a premium brand. We are constantly adding to the brands that you can offer to employees for Service Awards and other moments of recognition. You can offer your employees a large choice of premium brands on your company branded recognition programme or decide to bulk buy premium gifts.